The Illustration Now! series continues to bring you groundbreaking work by the world’s most exciting illustrators. A fascinating mix of established master draftsmen and neophytes, working in a wide range of techniques, Illustration Now! Vol. 4 features 150 illustrators from 30 countries, including information about their career paths and lists of selected exhibitions. Also included are two introductory essays by specialists Steven Heller and Bruno Porto on current trends in the field, with a cover featuring the work of Gabriel Moreno. 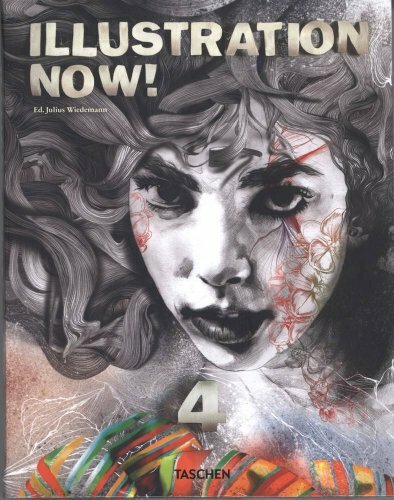 This book is perfect for graphic artists, creative professionals and illustration students, as well as anyone with an appreciation for draftsmanship and visual language.